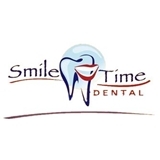 Smile Time Dental (Houston) - Book Appointment Online! When you need a dentist in Houston, look no further than Smile Time Dental. From the moment you enter our office, you will be greeted with a friendly smile and paid the attention you deserve as our patient. It is our priority to offer our patients a warm and welcoming environment suitable for the entire family. Call us today and schedule an appointment with one of our skilled dentists. There is no reason you should be afraid to go into the dentist's office. Whether you are coming in for a routine cleaning, fillings, or surgery, we want to make sure you are relaxed and comfortable. The environment in our office is welcoming to children and adults. We pride ourselves in the personal service and attention we give to each of our patients. Good dentist with a great bedside manner.